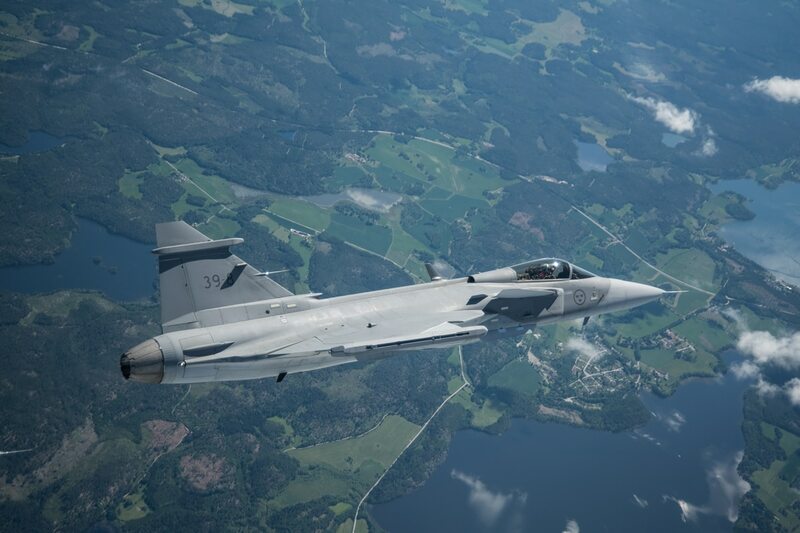 Saab has introduced a new electronic warfare self-protection system in a pod to make it a role-specific solution for aircraft such as the Gripen E fighter (shown here in first flight). Saab has unveiled a new electronic warfare self-protection system for aircraft. The Arexis advanced electronic attack jammer pod is part of the Arexis family of electronic warfare equipment, which already includes the electronic warfare suite on the new Gripen E/F fighter. “The Arexis jammer pod has the capability to screen and so protect the approach and departure of entire strike formations against low frequency radars by the smart utilization of DRFM [Digital Radio Frequency Memory]-based jamming techniques such as smart noise, coherent false targets and various saturation techniques,” according to a Saab news release. Alexis is based on ultra-wideband digital receivers and DRFM devices, gallium nitride solid state active electronically scanned array jammer transmitters and interferometric direction finding systems. 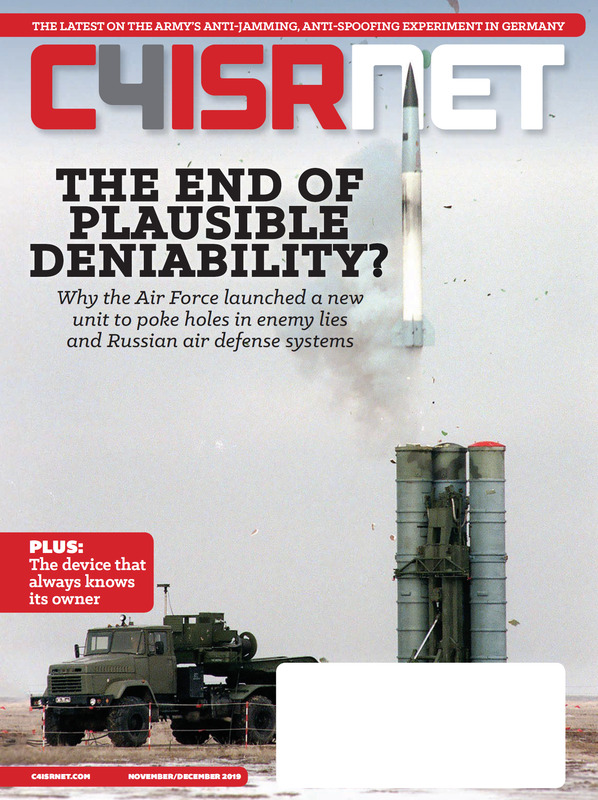 “For the advanced electronic attack application, these technologies are adapted to the lower frequency ranges that are required to jam modern anti-stealth air defense systems, the output power is increased, and everything is repacked in a pod to make it a role-specific solution,” Saab said.